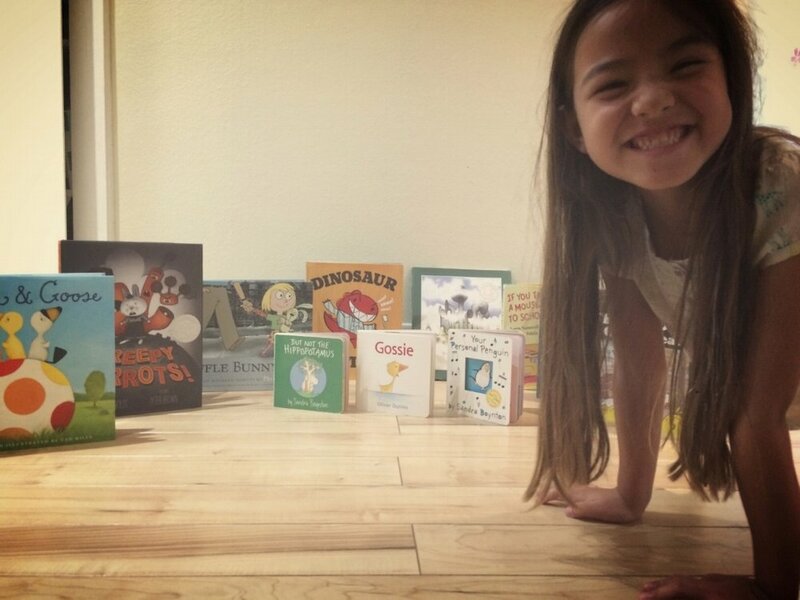 Dr. Bookworm is a blog dedicated to reviewing and recommending children's books from a pediatrician's point of view. Ever since I was a child, my sisters called me a bookworm. I'd wander around our small local library and gather up stacks and stacks of books to check out, while they would check out one or two. My daughters are following in my footsteps. My eldest daughter mostly taught herself to read--she started reading aloud a few words here and there two weeks before kindergarten started. By October, she was reading The Wizard of Oz on her own. When my youngest was in preK and Kindergarten, I realized how much harder it is to actually learn to read. Her teachers were wonderful--going through the letters, the phonics, the phonems and all kinds of tongue and jaw muscle mechanics that I had never heard of before. As I began to see all the work that goes into learning to read, I noticed a significant difference overall in the reading abilities of my daughter and her peers and those of my patients (At the time I was working in a community clinic for underserved children.) There was a definite divide--one based on a multitude of factors which included class size, lack of reading specialists in my patients' schools, English as a second language for some of my patients and most of their parents, and a number of them not qualifying for government-funded preschool programs. With this new knowledge, I began to engage parents of preschoolers, kindergartners and first graders regarding their children's reading exposure. I had always encouraged them to read to their kids, but there were so many barriers. My new strategy was to recommend older siblings read aloud to younger siblings, joining a library, going to free story times, making sight word flash cards etc. But then I thought, why not do some read-alongs on youTube? Hence the impetus for this website was born. We plan on posting book reviews and recommendations from a pediatrician's point of view but also host read-alongs of some family favorites. Please note that as of June 2017, I am not longer 'rating' books. Instead, I will only be writing book recommendations rather than reviews. So I may talk about readability, out-loud readability, or a multitude of other reasons why I'm recommending a book. Lowest Bookshelf: The highest rating we bestow, unless your book is on the floor. Placing a book on the lowest bookshelf means that little hands can access this book over and over again and you won't mind reading it over and over ad finitum. Middle Bookshelf: This is still a good book as you are willing to read this book again and again and little or big hands can grab it easily. Highest Bookshelf: An okay book, still worth buying. Your little one may love it and want to read it repeatedly but you sometimes hide it because it's not one of your favorites. Alternate Rating System: Buy It, Borrow It or Skip It. Self-explanatory.